It should be noted that brides have vetoed the idea of having a one night out just before the wedding day because they are tired of wedding a groom who can barely stay on his feet and smells like a bar! With that said, it is good practice to plan and execute the buck bash weeks before the actual wedding. Prior to the buck’s weekend-out give out notices to your closest pals so that they get in the mood and make plans on whether it’s hiring a camp site, a penthouse or accommodation at Airbnb. If you and your buddies are not the conservative type, organize the most energy sapping activities for the weekend that will tighten your bond even further. This is welcomed for the stag to blow off some steam some steam prior wedding date and also the other boys to be more comfortable together. 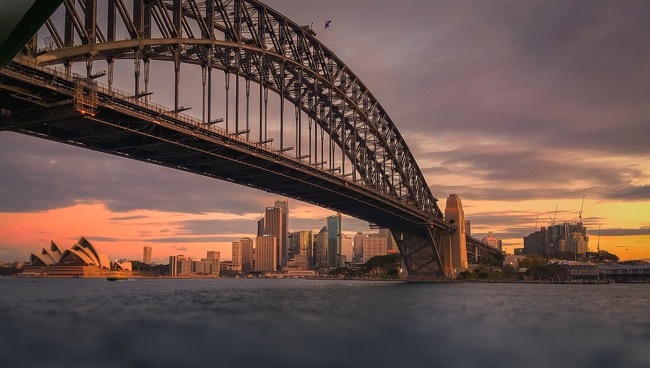 There are a plethora of activities in Sydney that would do just that from paintballing, indoor rock climbing, water rafting, skydiving, cruising, snowboarding to playing video games. The buck’s night is not all about getting drunk stupid and girls, it is and should be about pushing your man (or woman) out of the comfort zone and trying out something different. – The buck’s deepest fears; For instance, the buck can be lowered into a shark tank at Sea Life Sanctuary or go skydiving to overcome his fear of heights. – The buck’s hobbies; paintballing is a popular sport in Australia, and many people will appreciate the idea. You can find many places offer the sport for fun lovers. This coupled with range shooting could just do the trick for the stag. Well, we’ve all gone to those fun go-kart festivals and doing one in this event is somewhat less than ideal. For the car lovers, attending a drive day run by the largest manufacturers like BMW and Audi is the best getaway. This retreat is perfect for a group of guys since you get to try out the latest and the greatest models. Eventually, the experience is fantastic and all fun. What’s more, you get to receive a certificate that you will end up talking about long into the marriage weekends. Though not a common activity for most Buck parties the shooting range is a fun activity that most Bucks will appreciate. Shooting ranges are particularly few in Australia and gathering a couple of mates for this event guarantees nothing but total entertainment. The environment is fully enclosed and safe though it’s safer if the dickheads stay at home. You can find many shooting centers located only 50 minutes from Sydney and accommodates everyone from amateur to military level shooters. For a novice buck at least he will get some shooting practice and bragging rights on the way home. When it comes to the perfect farewell party, a buck’s cruise is the ultimate experience and every stag dream send-off. Everything is taken care of during the cruise from the food, booze, beautiful ladies, everything! The result is normally a wild R-rated cruise on Sydney gorgeous harbor. This is the kind of avenue where the bikini waitress and stripper are a norm. To cap it all off, the buck night is certainly one of the most yearned for parties and it’s only best that it is packed and served according to the buck’s desire. These Sydney bucks party ideas will certainly help you get the most of the party while staying in Australia.